Trade Wars Could Collapse US Car Sales And Slash 715K Jobs: It Would Trigger A "Downward Cycle"
The most significant and dangerous risks stem from policymaking. 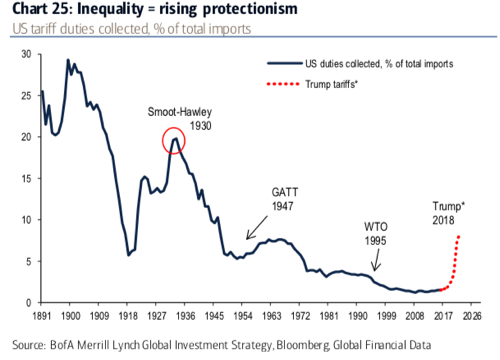 And on top of the list is, of course, the protectionist crusade of the Trump administration to disrupt the post–World War II global economic order the US was instrumental in building. The impact of President Trump's escalating trade war with China is already being felt, auto experts warn, and not in a good way. Kristin Dziczek, a vice president and senior economist at CAR, said if Section 232 is enacted, it could trigger a “downward cycle” in the auto industry - not seen since the last great recession. The latest research from CAR demonstrates how the trade war is disrupting the complex web of international supply chains, the repair of which will be expensive, and the jump in automobile costs could damage global and US markets. The uncertainty surrounding the trade war is also seen as extremely disruptive to business planning and hence investment plans. The indirect effects on business investment may damage the auto industry on a medium-term basis. Already announced tariffs on imported aluminum and steel have added about $240 to the cost of producing a new automobile in the US, said Peter Nagle, a senior economist at IHS Markit. The first round of tariffs with China has also increased the cost of foreign parts used on American assembly lines. Nagle added that the series of trade tariffs would “exacerbate” the difficulties the auto industry currently faces as it struggles to thwart the first downturn in sales since the last recession. President Trump activating tariffs using Section 232 rules would be disastrous, he warned. Nagel estimated consumers would be “looking at price increases of $1,300 for a typical mass-market product, up to $5,800 for a luxury vehicle.” He said those increases would not be limited to just imported vehicles. Toyota, for example, has forecast the price of a US-manufactured Camry would jump by about $1,600. The report from CAR and IHS confirms that new auto sales would plunge by around 2 million vehicles annually, to 16.5 million per year from 2019 to 2025. In other words, America's auto industry is on the cusp of a nasty recession. Caught in the crossfire, some medium-sized and smaller parts suppliers could be forced into bankruptcy, unable to afford the expenses of relocating their operations back to the US. That could result in disruptions at assembly plants, said Nagle. Auto experts said that China is the leading supplier to the automotive aftermarket, with parts such as tires, wheels, filters, and wiper blades. 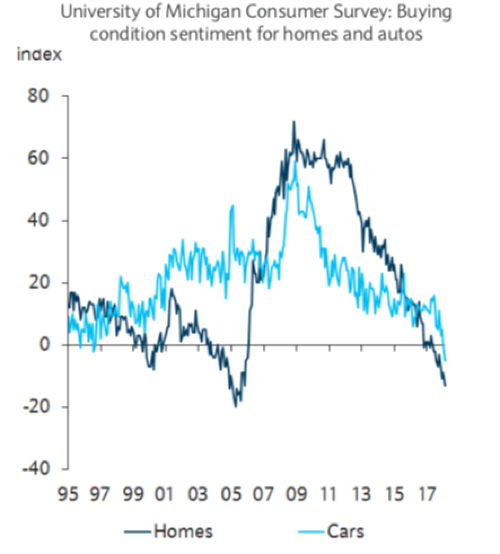 The consumer who is currently experiencing negative real wage growth will be shocked when parts for their vehicles become much more expensive. And when it comes to auto exports, the US is already starting to feel the shock. Before the Trump administration enacted the first round of tariffs on Chinese goods, Beijing announced plans to reduce its duties on imported vehicles from 25 percent to 15 percent. Chinese imports of US autos are now subjected to 40 percent tariffs, making them even less competitive with auto imports from Europe and or Japan. There are no winners in trade wars, even if the ultimate goal is a noble one. The immediate impact is likely to ripple through the entire US auto industry, experts warn, even at the dealership level. The CAR study estimates as many as 117,000 employees at the country’s 17,000 new car dealerships could lose their jobs. Lessons from past trade wars signal that the US auto industry is in for a walloping.